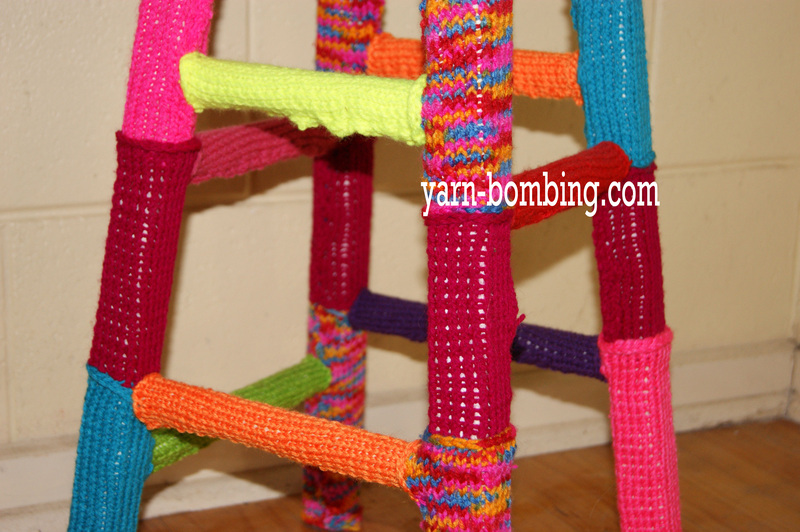 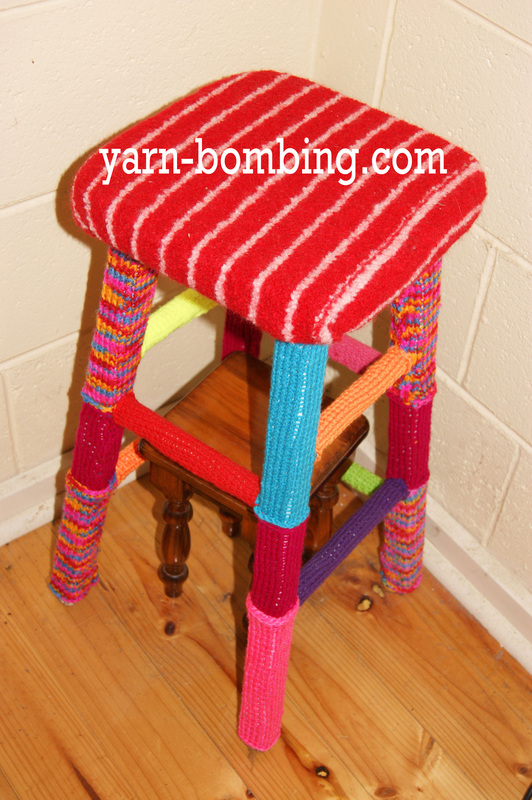 I YARN BOMBED THIS OLD WOODEN STOOL WITH KNITTING ON THE LEGS AND HANDMADE FELT ON THE SEAT. 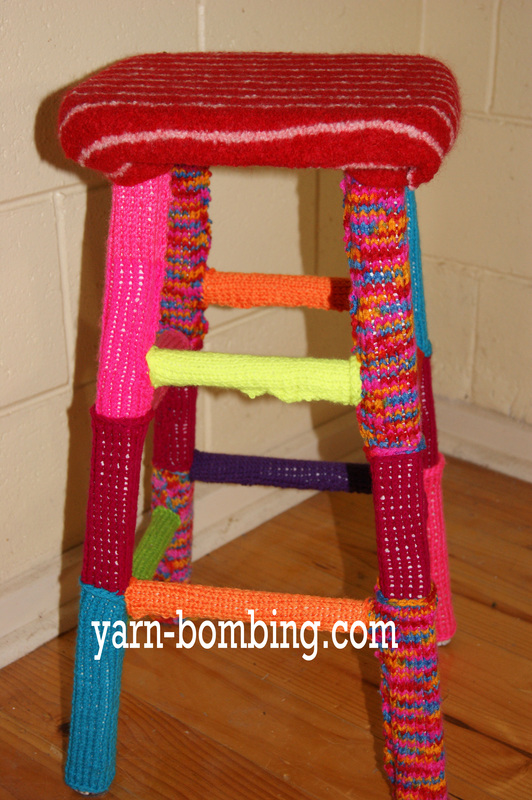 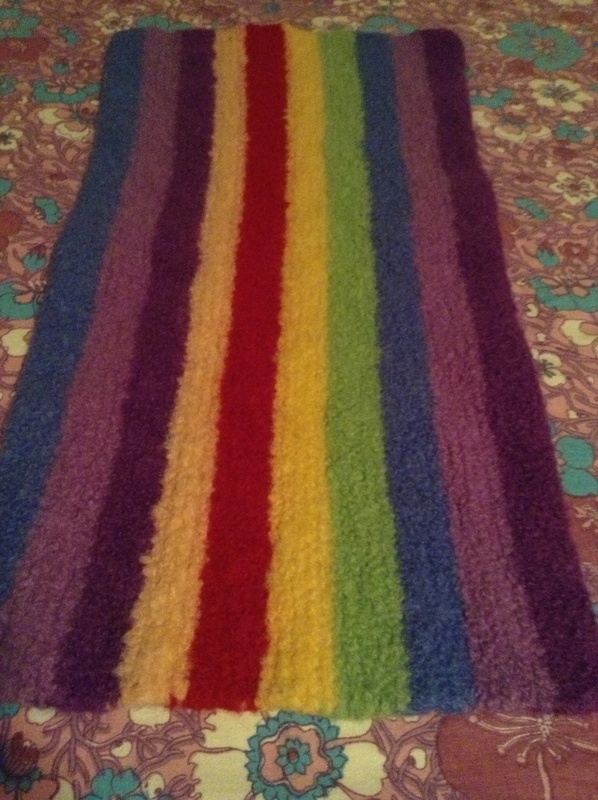 This entry was posted in Uncategorized and tagged felt, FURNITURE, knitting, photography, yarn bomb, yarn bombed, yarn bombing on August 25, 2013 by yarnbomb. 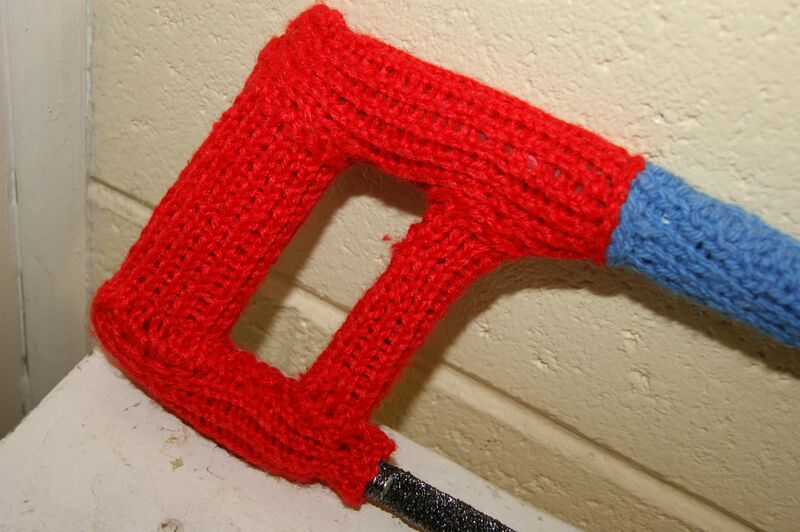 I KNITTED THIS COSY COVER FOR MY HACK SAW, WHEN I WAS ON A YARN BOMBING SPREE. 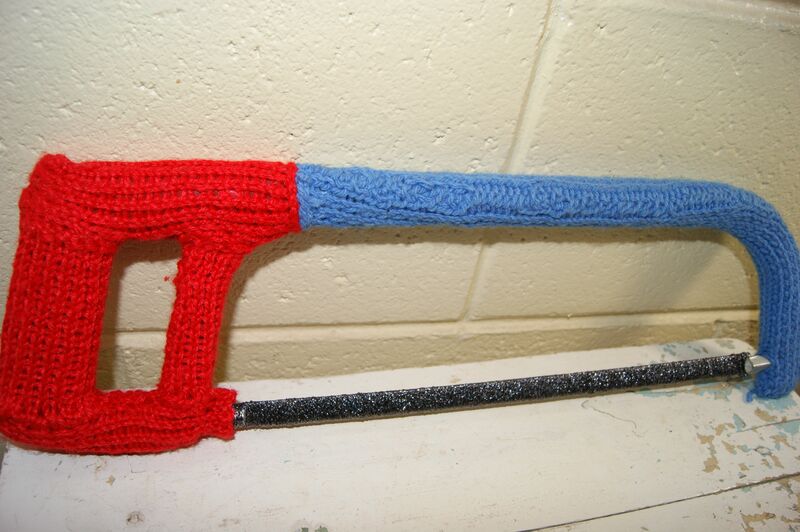 I DID PUT A PROTECTIVE COVER OVER THE BLADE BEFORE I WRAPPED IT IN SILVER CROCHET THREAD. 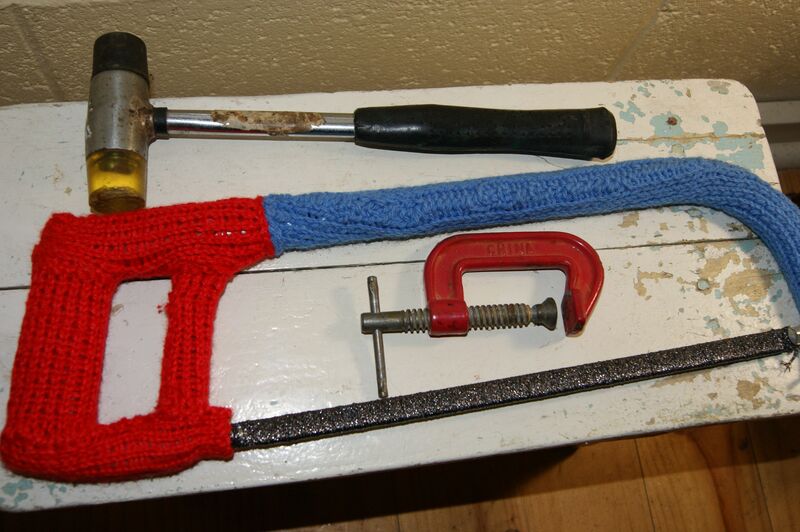 CRAFT MEETS THE TOOL SHED. 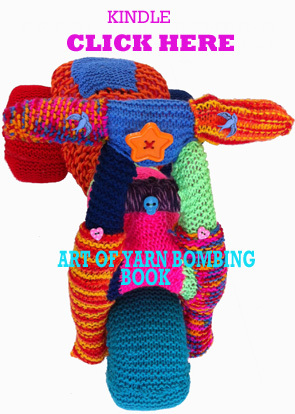 This entry was posted in Uncategorized and tagged craft, crochet, knitting, photography, TOOL BOX, yarn bomb, yarn bombing on August 18, 2013 by yarnbomb. 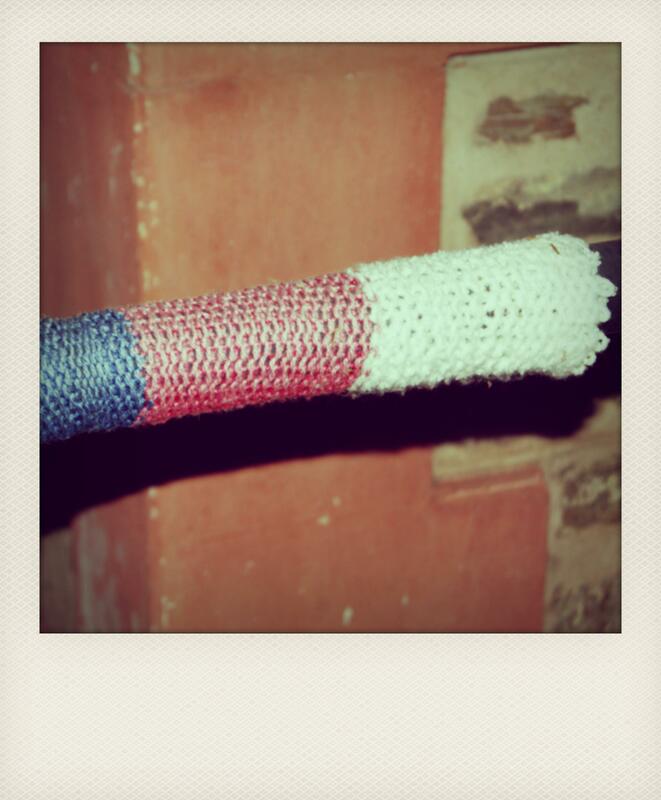 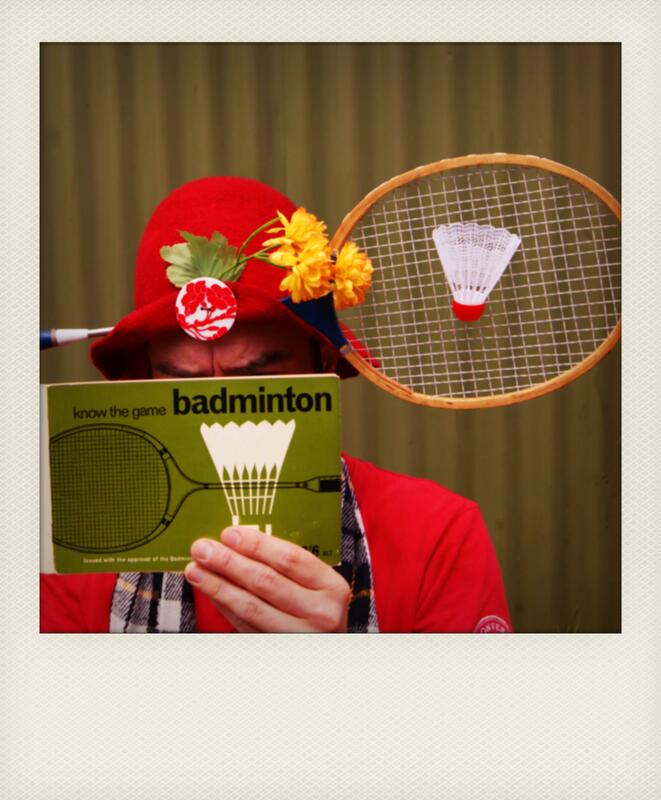 This entry was posted in Uncategorized and tagged badminton, craft, crochet, HATS, photography, POLAROIDS, TEA CUP, yarn bombing on August 7, 2013 by yarnbomb. 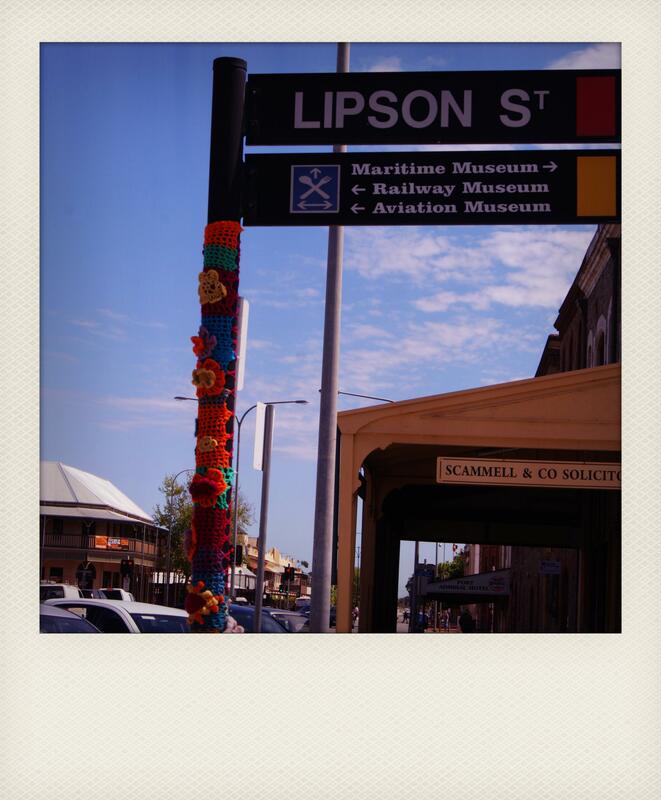 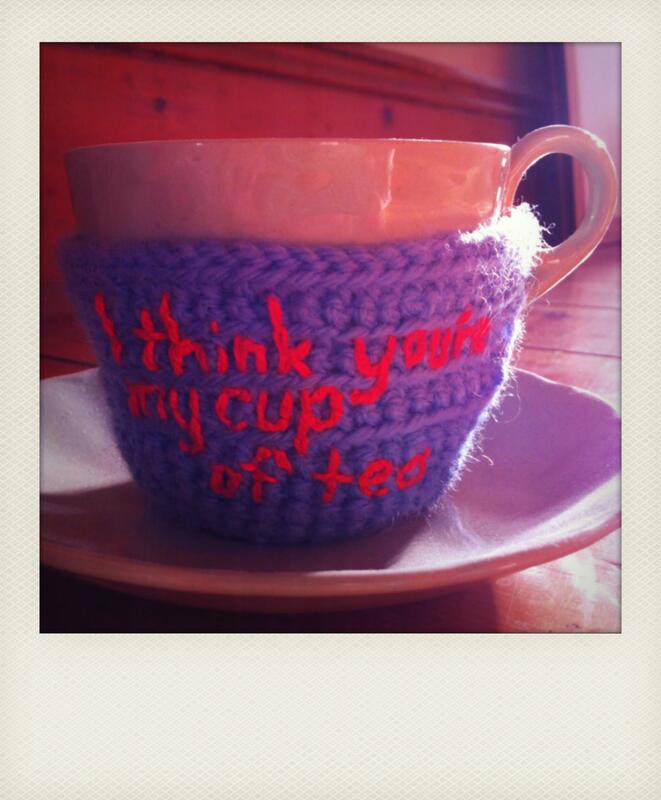 THESE POLAROID PHOTOGRAPHS ARE ALL SNAPS OF KNIT GRAFFITI OR YARN BOMBING. 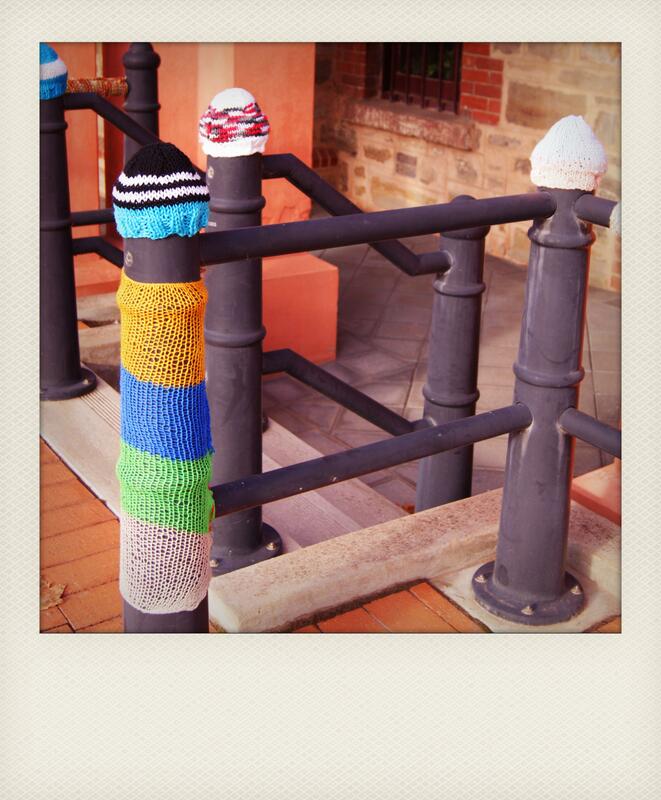 THESE ARE SIMPLE FENCE POSTS AND LAMP POLES ENCASED IN COLOURFUL KNITTING. 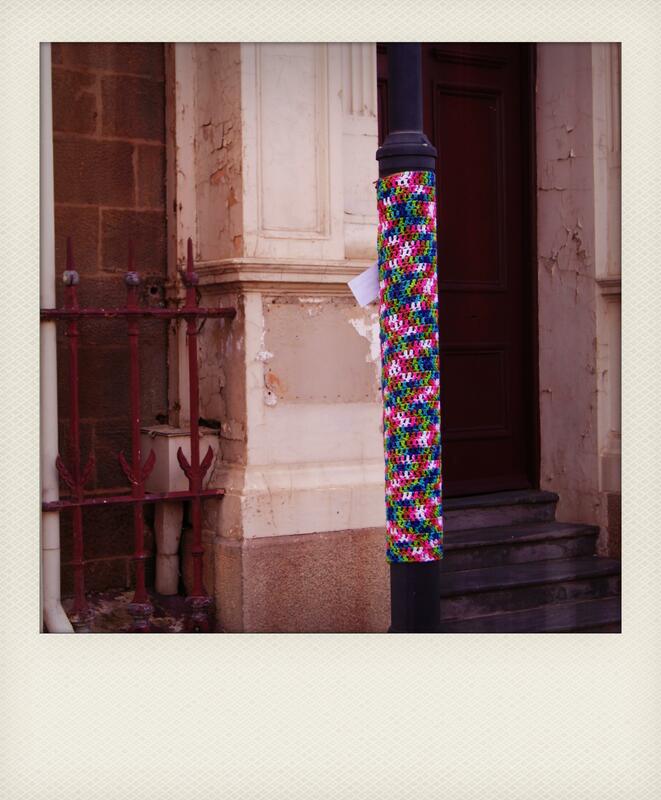 This entry was posted in Uncategorized and tagged graffiti, knitting, photography, polaroid, street art, yarn bombing on August 2, 2013 by yarnbomb.